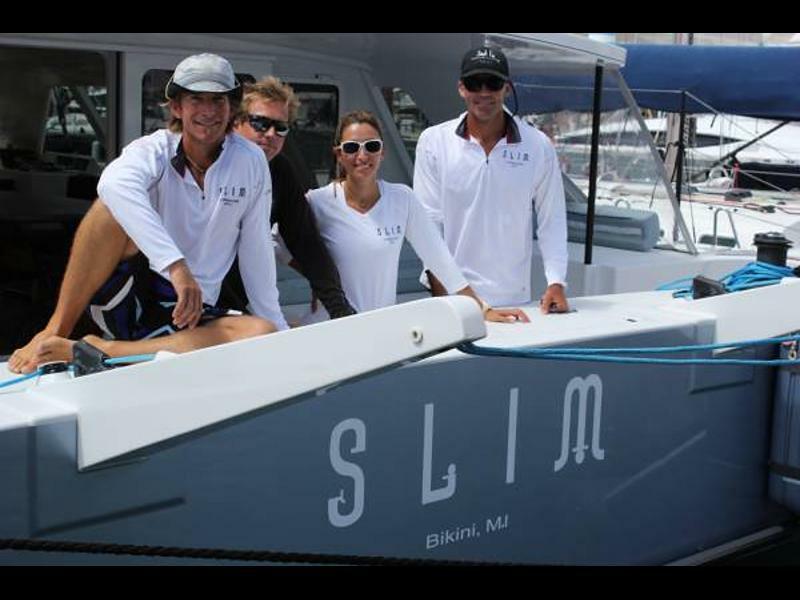 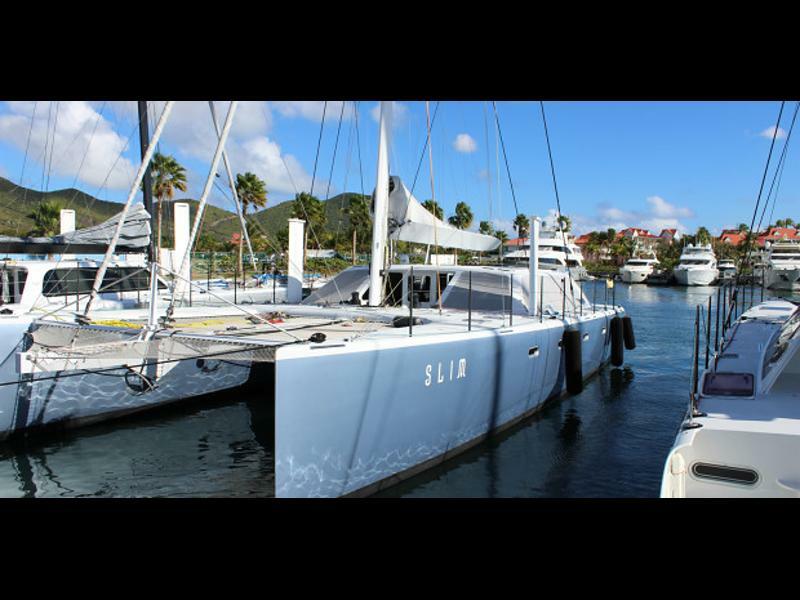 66 feet long catamaran of class Gunboat named SLIM has been designed for races around the world and has been constructed in the South Africa. 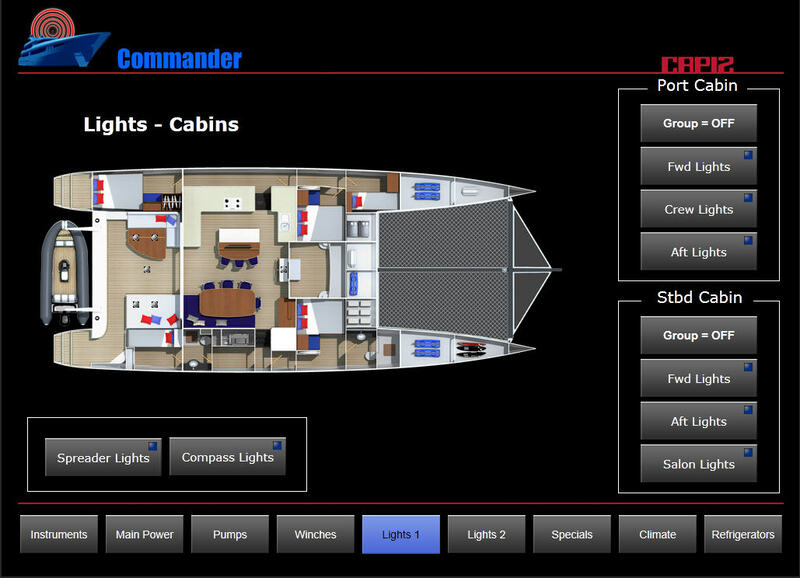 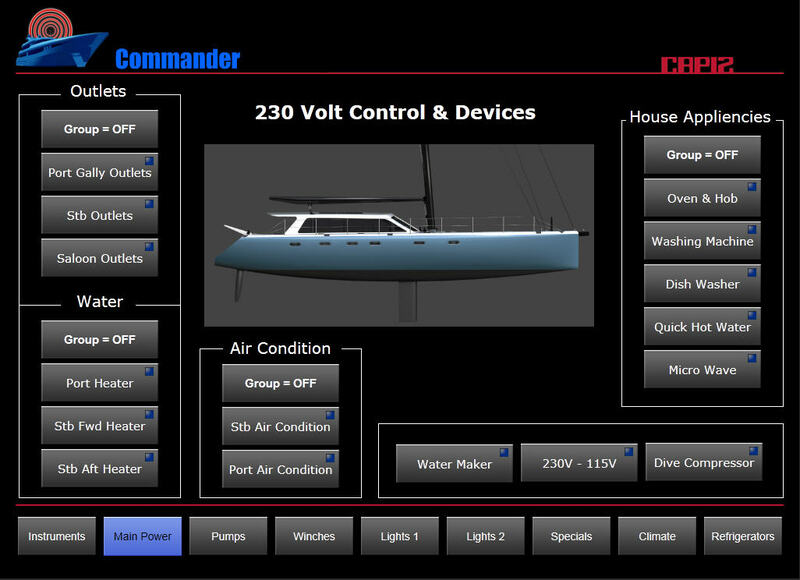 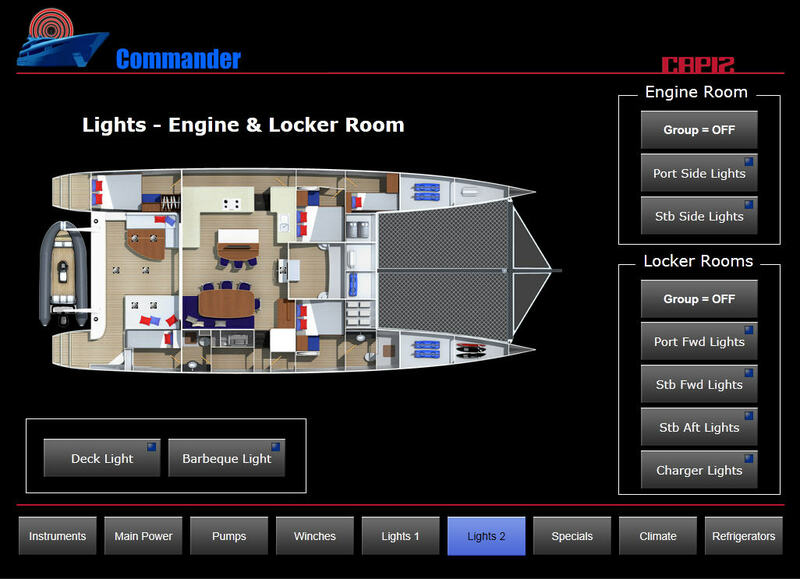 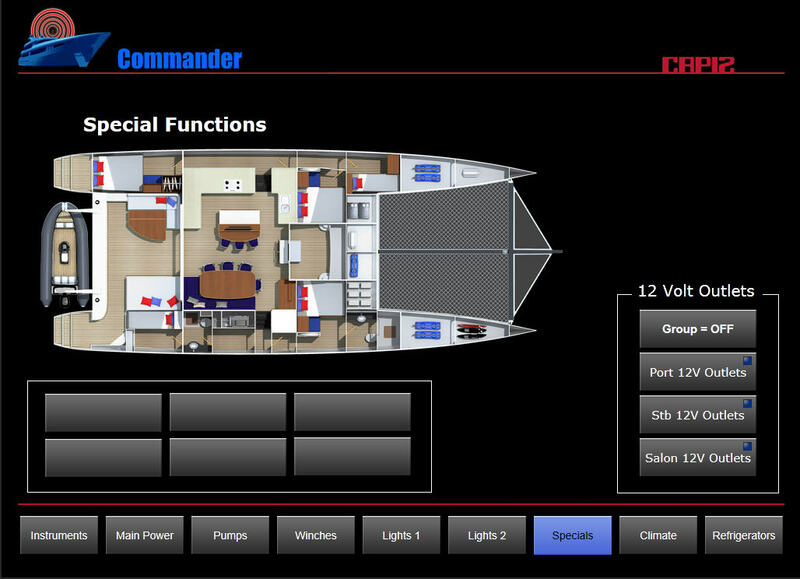 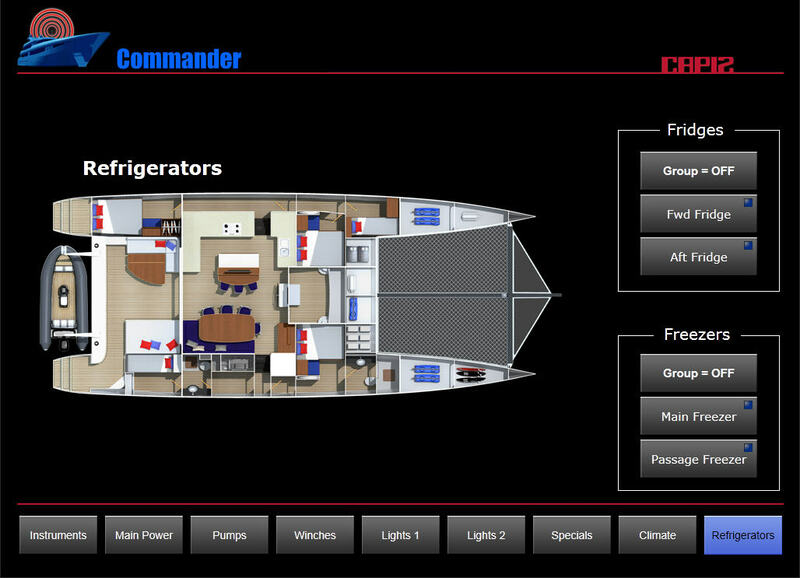 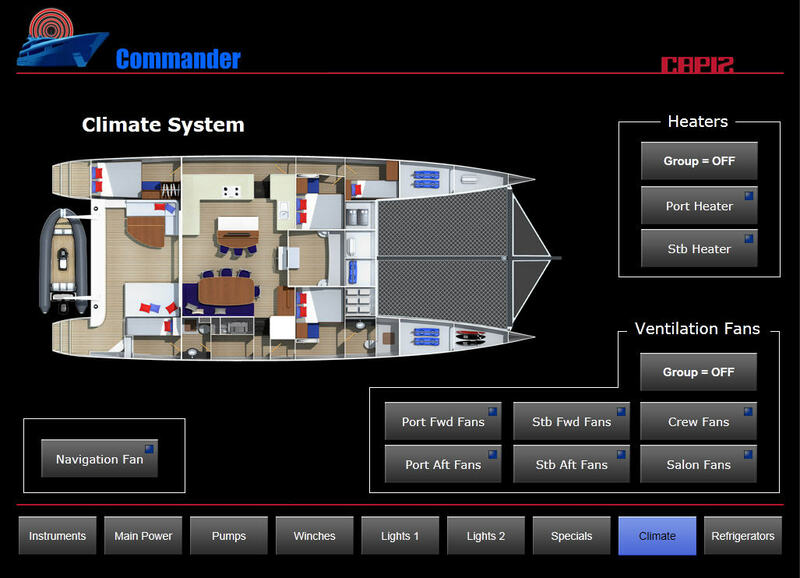 In cooperation with company Capi2 Nederland BV, which equipped the catamaran by electrical devices, LED lights and pumps, company B&R Design BV designed full catamaran control via fixed 10" touch panel and from anywhere remotely via iPad. 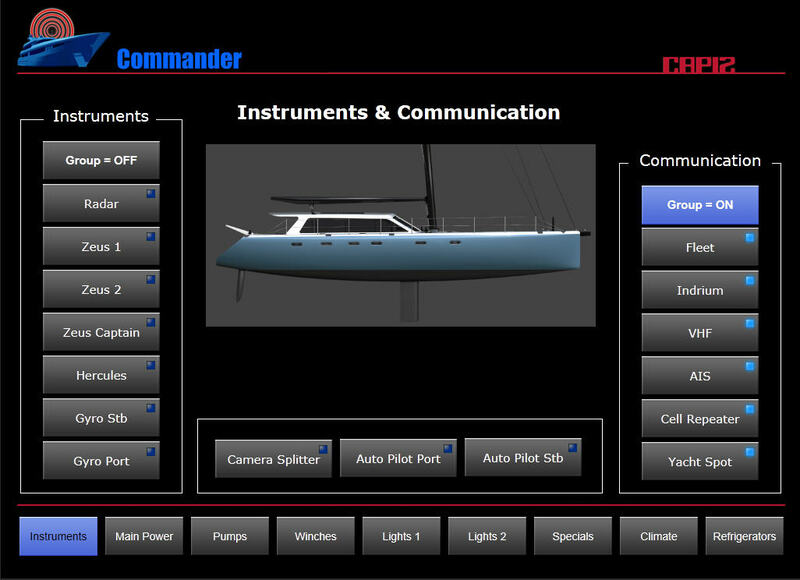 They used our control system Tecomat Foxtrot for this control. 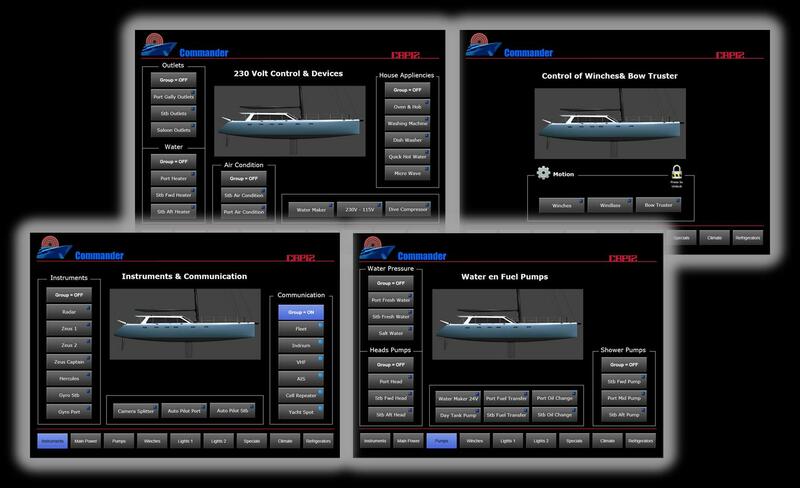 System Tecomat Foxtrot has been fully programmed in the Netherland. 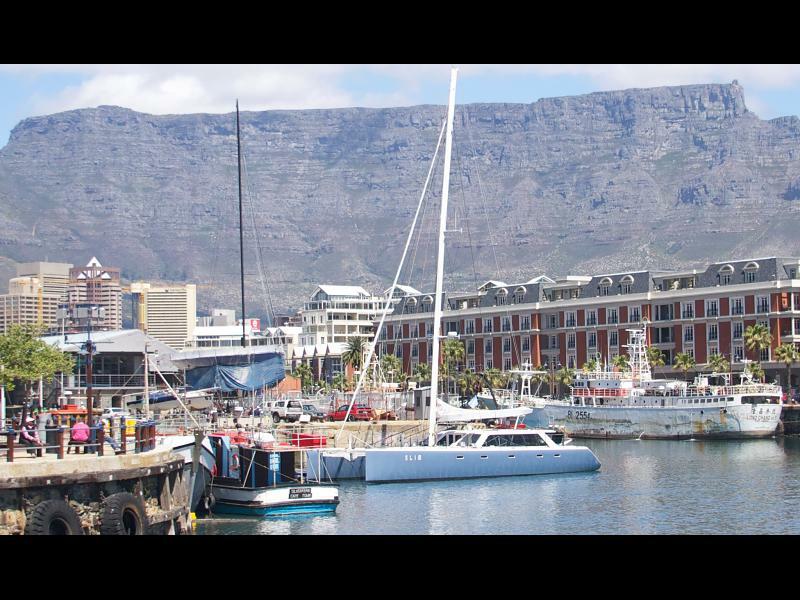 In the South Africa it has been installed into catamaran by ship constructors. 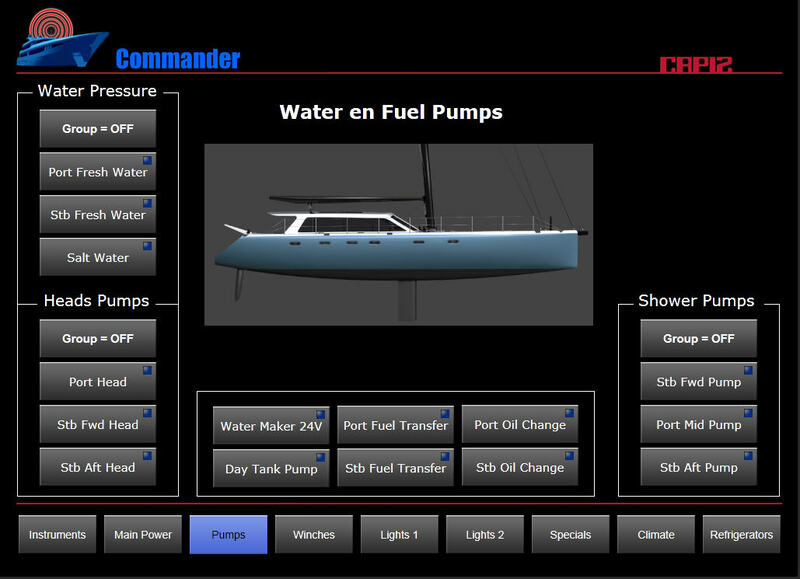 Then, company B&R Design finalised remotely from the Netherland the operation program. 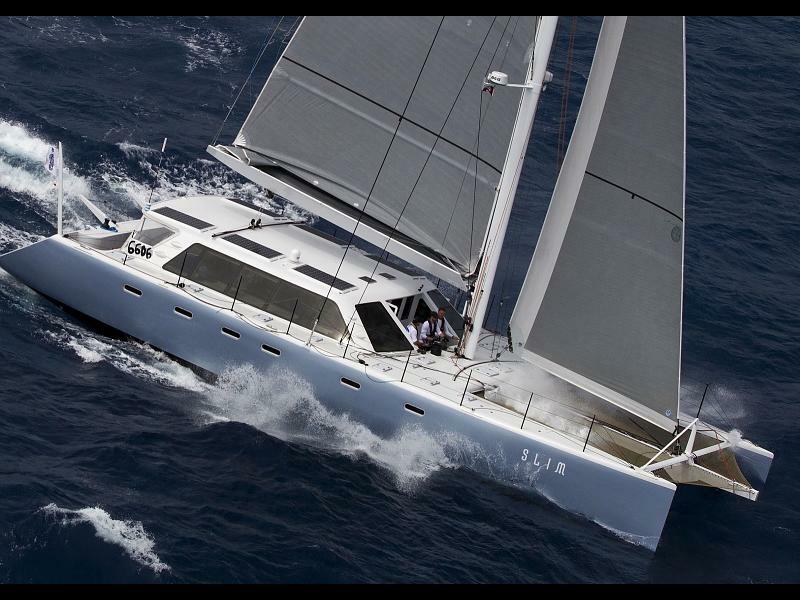 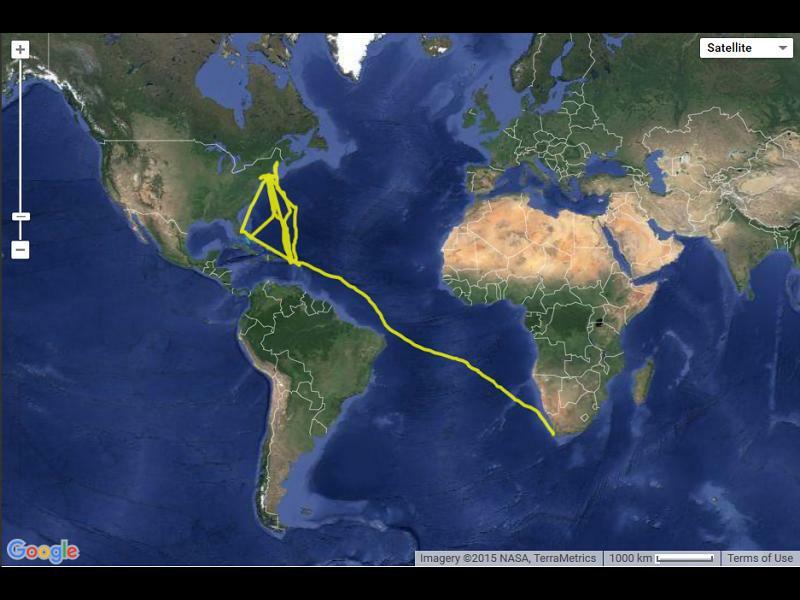 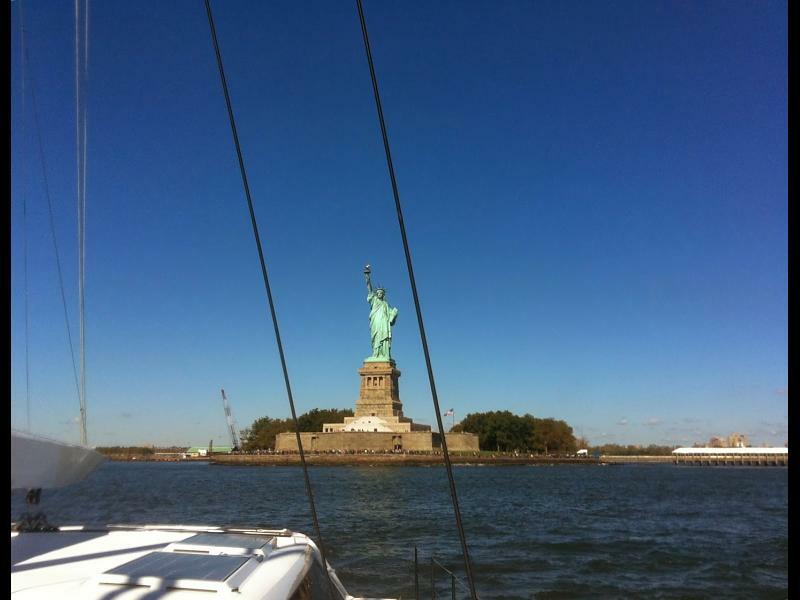 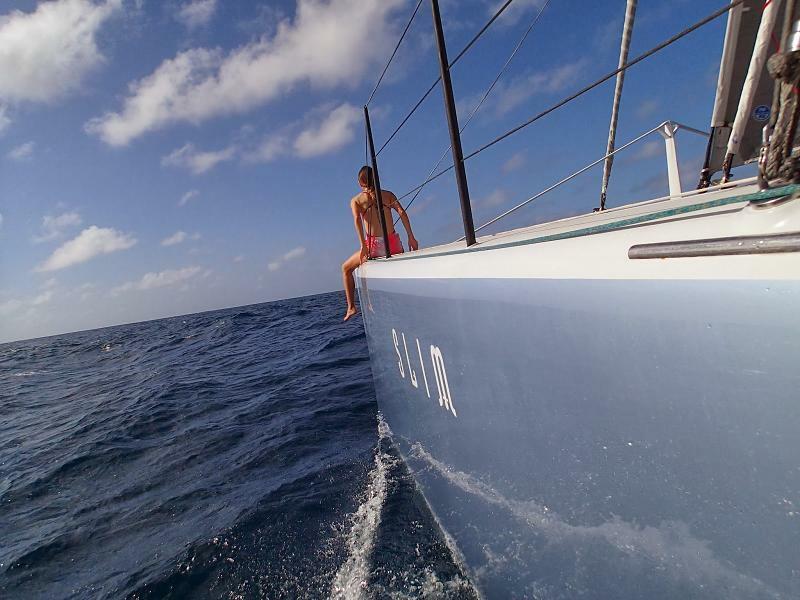 Catamaran sailed out from Cape Town to its first 6 months sail under Marschall Islands flag across the Atlantic Ocean to Caribic and then to North America in 2013. 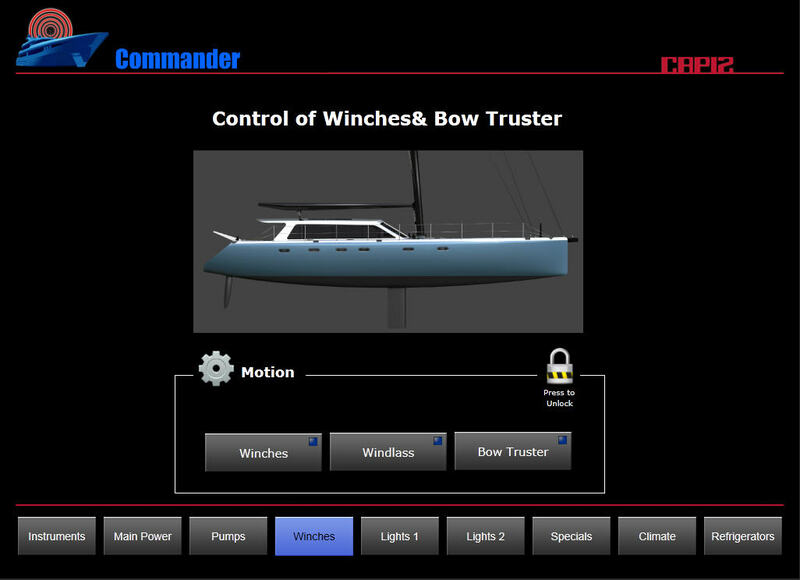 During its first sail it passed 5000 miles and control functions and graphis user interface were remotely modified according to needs and requirements of 6 crew sailors.